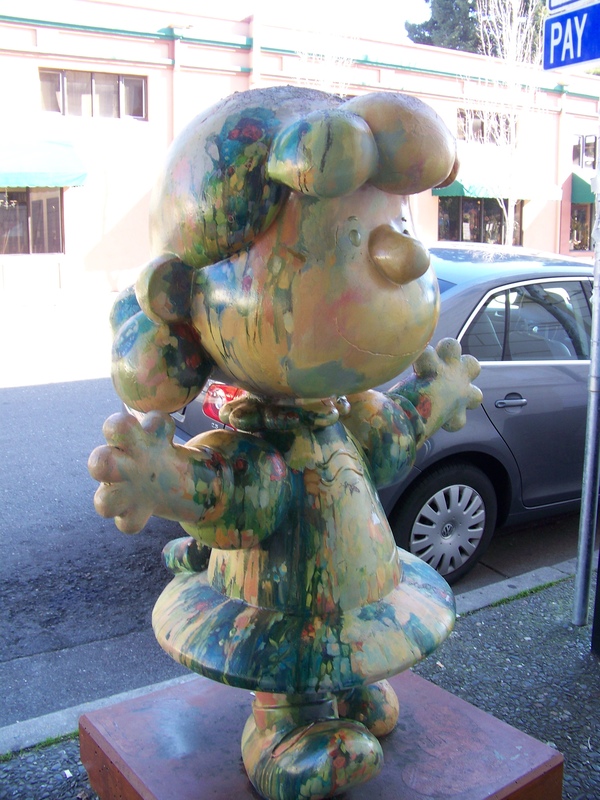 In 2005, the City of Santa Rosa started a tribute to the popular comic strip creator by commissioning several Charlie Brown statues subsequently placed around the city. Since then, several more characters have joined Charlie to parade around town. Oh that looks cool 🙂 Bristol – a city not far from me – did this last year for charity – except it wasn’t Charlie Brown characters, it was around 80+ Gromits (of Wallace & Gromit fame (link)). Sadly they are not there now, they were auctioned off around the end of August. Wallace and Gromit! I love those two. 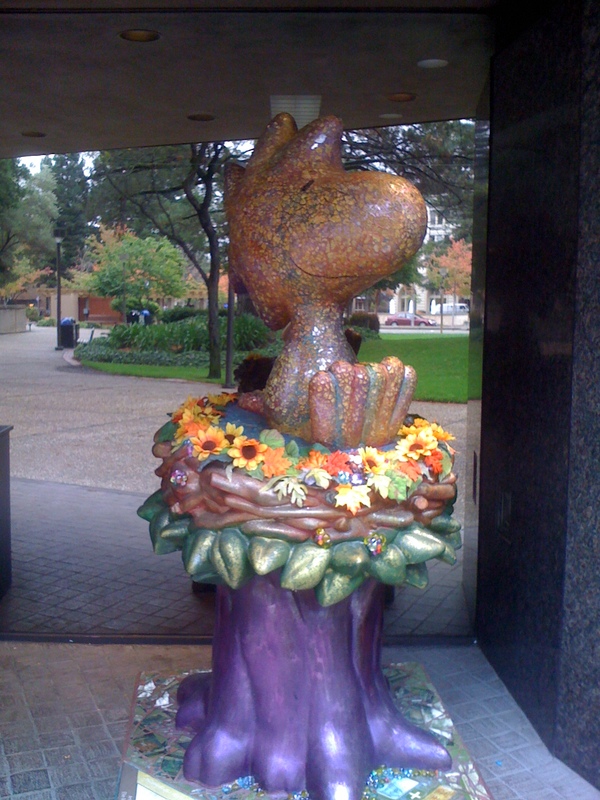 The Peanuts statues are generally privately owned, so they move around a bit, but there’s no reason for folks to squirrel them away. Their owners generally keep them out where everyone can enjoy them. 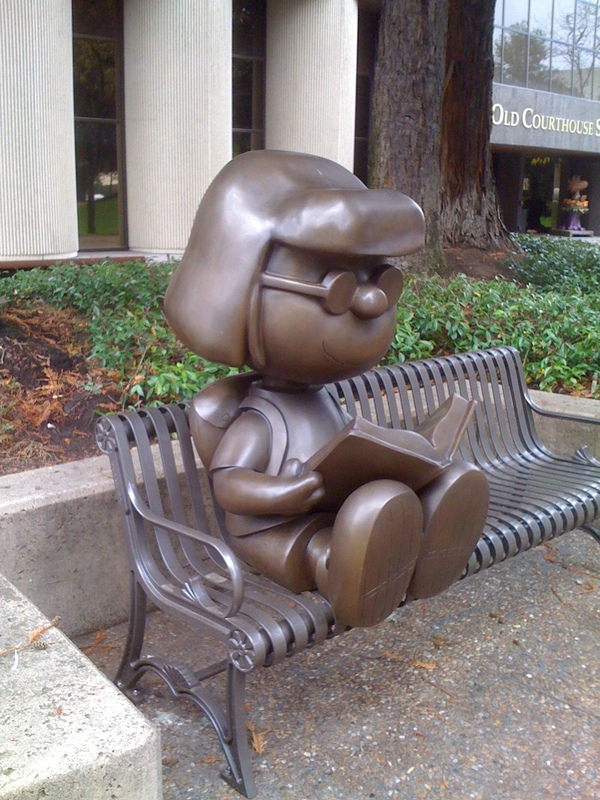 I’m fascinated by the bronze statue of Marcie! But all the parade is beautiful and it’s a well deserved tribute to great C. Schultz ! There are four or five original bronze statues, but almost a hundred of the other ones. I’m not sure what they are made of, plastic maybe, but each is decorated differently. So, there are tons of Lucy’s out there and she’s in all sorts of colors. 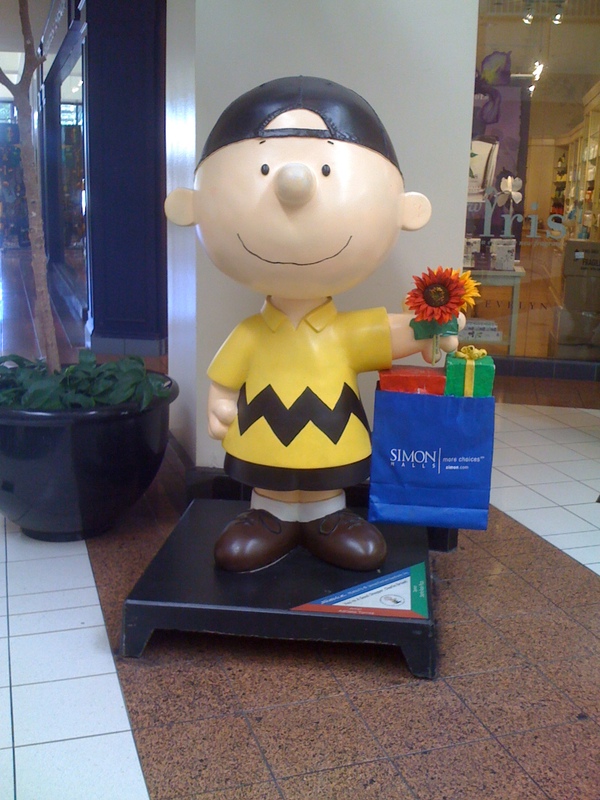 Same with Snoppy, he’s in all sorts of cute outfits. Thanks for stopping by! Indeed, it is. I’m hoping they do more of the characters. Even so, there are quite a few of them out there. Always fun to happen upon them.